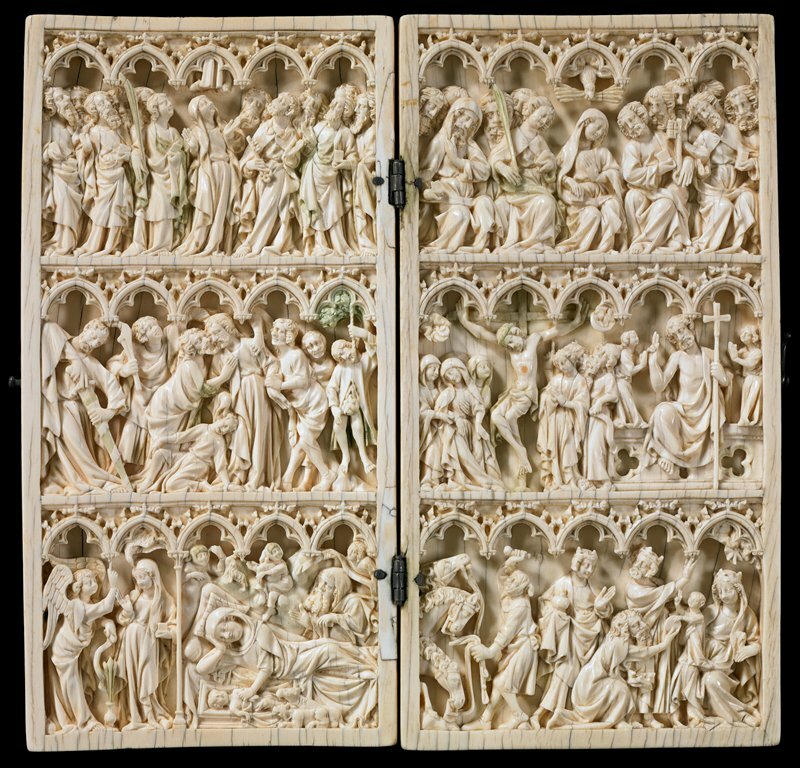 The carved scenes of this diptych (hinged two-paneled object) read from left to right, beginning at the bottom: the Annunciation, the Nativity, the Adoration of the Magi, the Betrayal of Judas, the Crucifixion, the Resurrection, the Ascension, and Pentecost. In the Middle Ages, wealthy nobles commissioned exquisite diptychs, illustrated prayer books, and other portable religious objects which they could carry on their frequent travels. These works provided a focus for private meditation and attested to the owner's refined taste. Visual storytelling served as an important instructional aid in an age before books were widely available.